Central Coast Tent Camping Tips! Camping in a tent is for the brave and bold. If you have never camped out in a tent you don't know what a thrill you are missing. Tent camping on the Central Coast of California is spectacular. The coolness of the ocean breezes in the summer and the not to cold winters make camping in one of the many State Parks in our area an adventure to remember. I remember when I was a young child my dad would take us camping and those memories are still with me today. The thing I loved most about camping was breakfast. My mother would start the little stove and cook bacon and eggs. The smell of bacon cooking is still fresh in my mind. 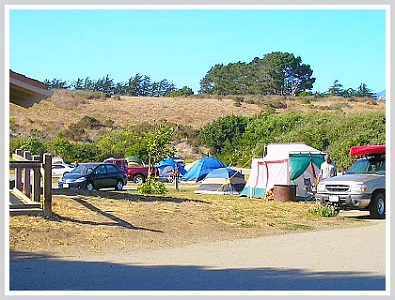 If you want to bring a family close, sleep in a tent in one of the camping areas in Big Sur, Morro Bay, or Cambria. .
We have invite guest writer amd experts on temt camping to help us out with this subject. We hope you benefit from this information. Tent camping is one of the most relaxing and exciting ways to escape from the busy days in the city. Through camping, the campers can feel more relieved and close to nature. Several campgrounds are offering tent camping programs for small groups such as families and officemates. If you are planning to have one with you group or kids be sure that you prepare your things and plan the activities for your tent camping adventure. The following tent camping tips can serve as your guide on your camping trip. These tips can be of great help to campers especially the first time campers. Tent camping can give you more fun and less worry if you plan your trip ahead. When planning your camping spree, identify first who will go and where to go. The things and equipments to bring must be well planned and so with the activities and the camp location. You can use the other tent camping tips when doing your plan. The location or your campsite must be given with much attention for you to have a comfortable and safe camping especially during the night. It is good to camp in areas that are secluded from the people and in the sites that offer good views of nature. Water source and the wind in the location must also be considered. Campfires can make the nights in camps more enjoyable and you can't do this if you choose a location that has strong winds. Choose your camping gears and equipments. It is advisable for beginners to bring only light packs when planning a camp especially in remote locations. You must bring only the most important equipments. The use of multi-purpose equipments is a bright idea. Bringing unnecessary things can only add up to your load and can consume more space on your backpacks. Make a checklist of the equipments needed on your camp. The checklist helps you to identify your needed equipments and to make sure that you don't leave any of them behind. You can check your list before you go to the site and before you go home. Prepare your safety plan, just in case. Having a safety plan at hand can make you and your group at ease all throughout the camp duration. Include in your safety plan the nearest hospitals and police stations where you can seek help should any problems arise during the camp. Arrive at the site early or during the day. Arriving at the site during the day can give you and your group more time to become familiar with the place and to prepare your tent and other equipments. Doing all these during the day can give you a relaxing first night on the camp. Bring only easy to cook or pre-prepared foods. Outdoor cooking is very different from cooking inside your kitchen. Here you don't have much time to do the chopping of the ingredients so better bring pre-chopped goods. Make sure that you keep perishable goods in sealed containers to prevent premature spoilage. Given these tent camping tips, you and your group can have an exciting and worry-free camping adventure. Just keep in mind that you are in the camp to relax and not to worry about what's in your camp. Enjoy! Clifford Young is an accomplished niche website developer and author. To learn more about tent camping tips for beginners [http://bowandarrowhunting.info/tent-camping-tips-for-beginners], please visit Bow and Arrow Hunting [http://bowandarrowhunting.info] for current articles and discussions. We hope you enjoyed and benefited from Clifford's article for more Camping Tips Click Here. Many people chose to go camping in an RV. 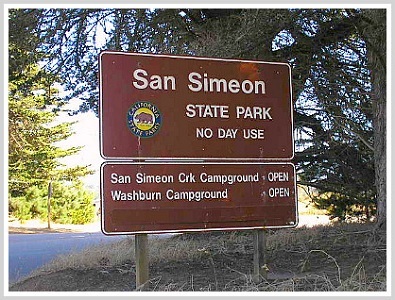 Many of the state parks offer RV camping. 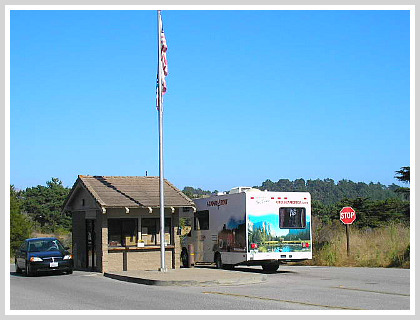 To find out which state parks have RV camping Click Here. If you want a great deal on camping equipment click on the camping world banner. CCTAdventures also provides a psychological travel planner which you need to read while planning a trip. For more information click on this link, Travel Tips - Psychological Planner. Planning a visit to the central coast use Kayak to book your hotel or air flight to the central coast.